Prof. João Paulo Just Peixoto, M.Sc. My name is João Paulo Just Peixoto and I am currently an EBTT Professor at Federal Institute of Bahia (Valença). I am also a member of Advanced Application and Networks Lab – LARA, coordinated by Prof. Daniel G. Costa. Since December 2016, I officially maintain LineageOS Android Distribution for LG G Pad 8.0 Wi-Fi (v480) and unofficially for the LTE model of the same device (v490). You can read my Lattes Curriculum to know more about my academic formation. OLIVEIRA, E. S.; PEIXOTO, J. P. J.; COSTA, D. G.; PORTUGAL, P. Multiple Mobile Sinks in Event-based Wireless Sensor Networks Exploiting Traffic Conditions in Smart City Applications. In: 2018 IEEE 16th International Conference on Industrial Informatics (INDIN). SANTOS, A. S.; PEREIRA, C. P.; PEIXOTO, J. P. J. Utilização de um ambiente de aprendizagem como proposta de auxílio ao ensino de algoritmos e programação. SEPA, 2018. COSTA, D. G. and DURAN-FAUNDEZ, C. and ANDRADE, D. C. and ROCHA-JUNIOR, J. B. and JUST PEIXOTO, J. P. TwitterSensing: An Event-Based Approach for Wireless Sensor Networks Optimization Exploiting Social Media in Smart City Applications. Sensors (MDPI), 2018. PEIXOTO, JOÃO PAULO JUST; COSTA, DANIEL G. Wireless visual sensor networks for smart city applications: A relevance-based approach for multiple sinks mobility. Future Generation Computer Systems-The International Journal of eScience, 2017. PEIXOTO, JOAO PAULO JUST; COSTA, DANIEL G. QoE-aware multiple sinks mobility in wireless sensor networks. 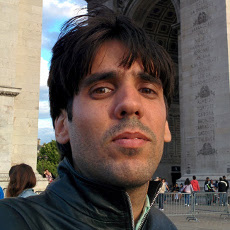 In: 2015 7th International Conference on New Technologies, Mobility and Security (NTMS), 2015, Paris. 2015 7th International Conference on New Technologies, Mobility and Security (NTMS). p. 1. PEIXOTO, J. P. J.; COTIAS, B. ; COSTA, D. G. A Simulation Tool to Support Teaching of Image Transmissions over Wireless Sensor Networks using RAIT Protocol. In: WEIBASE – Workshop de Educação em Computação, 2015, Salvador. XV Escola Regional de Computação Bahia, Alagoas e Sergipe, 2015.